Interview / Traci Trexx fra Vanity Blvd. Interview with Traci Trexx from Vanity Blvd. Traci Trexx - Vanity Blvd. 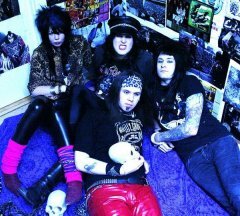 Traci: We were born & raised in Avesta city Sweden 2005 by Cindy & Roxxy (Traci´s little sister) They were looking for band members, and was asking me to play the guitar. So I joined and brought my drummer Frecko from my other 70´s rock band along to <?xml:namespace prefix = st1 ns = "urn:schemas-microsoft-com:office:smarttags" />Vanity Blvd, and when we started to jam at the first time, it really worked out well. Calle: Why did you choose the band name Vanity Blvd? Traci: It was my sister Roxxy who came up with the idea. I didn’t like it from the start and I wanted to change it, but in the end we all loved it a lot, because it sounds different. Traci: Because I hurt my leg. I was into wrestling & martial Art Business. I was a wild kid back then.. haha. So I tried to find something that was less dangerous to do and the music was fine because most of my friends was playing music and were in a band. And I could express my feelings better without hurting myself or anybody else. Traci: Accept Hulk Hogan, It’s always been Jimi Hendrix who’s been closest to my heart Also Kiss, & Alice Cooper. Their music has really something to say, and makes you believe in something. Calle: How would you describe your music to people who haven’t heard Vanity Blvd yet? 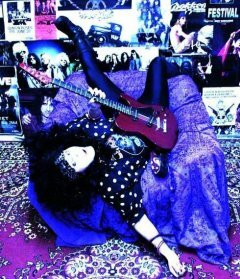 Traci: Its "Old School" Glam Rock..mixed with classic rock. Just like what they were playing back in the 80´s Hollywood. Not the mainstream - fashion with mixed punk rock and metal that you can see7hear in today’s new wave glam & sleaze scene. I use to explain it like.."Mötley Crüe with chicks vocals"… haha..I think they understand perfectly. 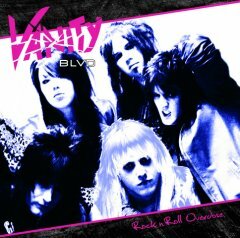 Calle: What can people expect if they go see Vanity Blvd live? Traci: A totally kickass show. We’re really much better live on stage than on the album. We’re a typical "live band". The best way to experience our music is on concert. We have so much energy. When Frecko start to beat those drums, the whole place start to shake. Marty is a totally energy ball and Cindi gives everybody goosebumps ..its so cool. Calle: What bands have you played live with and what bands would you really like to play with or open for? 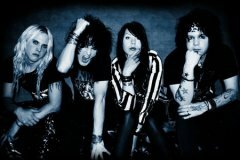 Traci: We have played with Thunder Express(it’s members from The Hellacopters & Death Breath), Heart, Takida, The Quireboys and some more. We would love to play with Alice Cooper, Kiss and Mötley Crüe. It would be like a dream come true. Calle: Do you have any plans on playing in Denmark in the near future? 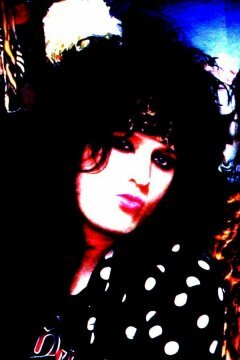 Calle: They rock/sleaze/glam scene in Sweden seems to be “big” at the moment. What’s your opinion on that? Traci: I think there’re a lot of people out there who start to understand what good music’s all about. A few years ago, not that many people were listening to bands like Guns N Roses and Mötley Crüe. They always had a lot of fans, but they didn’t make much noise. I really hope it’ll become mainstream in the future just like it was in the 80´s. 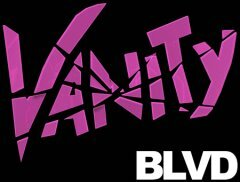 Calle: Why should people listen to Vanity Blvd instead of all the other new Swedish bands? Traci: Because we have really something to say with our music, and we are very talented musicians and we want to just make people happy with our really cool music. Music is fun, you don’t play rock n roll because you want to die. It’s a big life time party, Yeah!!!! Calle: Your debut CD “Rock ‘n’ Roll Overdose” is produced by Chris Laney, how did you get to work with him? Traci: He contacted us. He was looking for a cool band to record a make a really awesome album. We talked a lot and it seemed like we had the same ideas and stuff. We had a meeting and jammed together and everything worked out really fine because the chemistry was totally right. He was a Kiss fan just like us… hahaha. It was really easy to talk to him and work with him. Calle: Steevie Jaimz (ex. Tigertailz) is singing guest vocals on the song “Talk Of The Town”. How did he get involved? Traci: He is a close friend to Chris Laney, and they have worked together on a few studio albums now. So he surprised us one day when we were at the studio. Steevie Jaimz knows we’re all big fans of his music. And we were so happy that he helped us, because it ended up really cool. Calle: What song on the CD is your personal favorite? Traci: ohh my good, its totally different now and when we was writing those songs in the rehearsal room. And when we walked into the studio and listened to those songs growing in the everyday. I think I love them all in different ways and it depends on what mood I’m in. But “Talk Of The Town” and “4 The Love Of Rock N Roll” I really like. I wrote those songs in 5 minutes before we entered the studio. Calle: When it comes to the CD, how has the response from the critics and fans been? Traci: Like all bands before you are probably shitting your pants and chewing on your nails and you are really afraid that everybody will hate it...haha. But the response has been really good. In Sweden some critics don’t understand out type of music so they all write totally goofy reviews. It’s so embarrassing to read that stuff, but for the most parts it’s been good. Outside Sweden it’s been overwhelming. They totally love us and they understand our music correct. We are so happy about that. Thanks to all the kind people out there, we love you all. Calle: Where do you see Vanity Blvd in 10 years? Traci: We have probably taking over the world..haha. And we have made the world a better place with our Rock ‘n’ roll music. Everybody will be happy and rocking day & night long!!! Traci: They must decide how they want it from the beginning. If they want to make it or not, have fun, get drunk, playing rock star, or really become one for real! It’s not a glamour thing at all. You must practice a lot on your instrument. If you don’t sound good it’s hard to impress all the record companies and media out there. Try to get good reputation out there. Traci: My god..I think it was KiSS Alive 3. 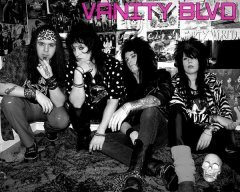 Calle: If you could put together your dream band (not including members of Vanity Blvd), who would be in it? Traci: wow…that’s a good question. I would defiantly have me on the guitar haha, maybe Slash in the rhythm guitar then, and Tommy Lee on drums. On the bass it would be like Nikki Sixx and on the lead vocals it should be no less than the one and only Alice Cooper, and of course Ozzy too. Traci: I think that would be “Bohemian Rhapsody” by Queen. It’s got everything...its so sensitive, its funny, jumpy, and ends up with heavy metal. It’s so really cool song. Traci: We always play music. That’s what we do. We’re born to be rock ‘n’ rollers. Does that sound cool enough?? ahha good. Well… most of the time we work and some of us are looking for a new job. We’re all totally music lovers, addicted to movies, surfing on the internet and we like to hang out with friends and party. Traci: I like Coca cola, but Smirnoff Ice and Barcadi Breezer are also fine for me. Frecko likes young boys cream and young virgin blood, but he’s more a real man than me… haha. Calle: What did you do before playing in Vanity Blvd? Traci: I played in other band(s) haha..me and Frecko was playing in a phsycadelic horror blues band called The Amazing Cottage Cheese. We have also been playing in some other bands that was more like grunge, metal and thrash bands. Traci: Metallica, Lars Ulrish..hahaha. He seems like a funny guy.